Big Break Records is proud to present Delegation’s The Promise Of Love. Featuring the alternative tracks chosen for the US release and all the non-album single sides from that period, as well as comprehensive liner notes from Christian John Wikane incorporating new interviews with Bailey and Gold, this is essential listening for all Soul, Disco and Pop fans. 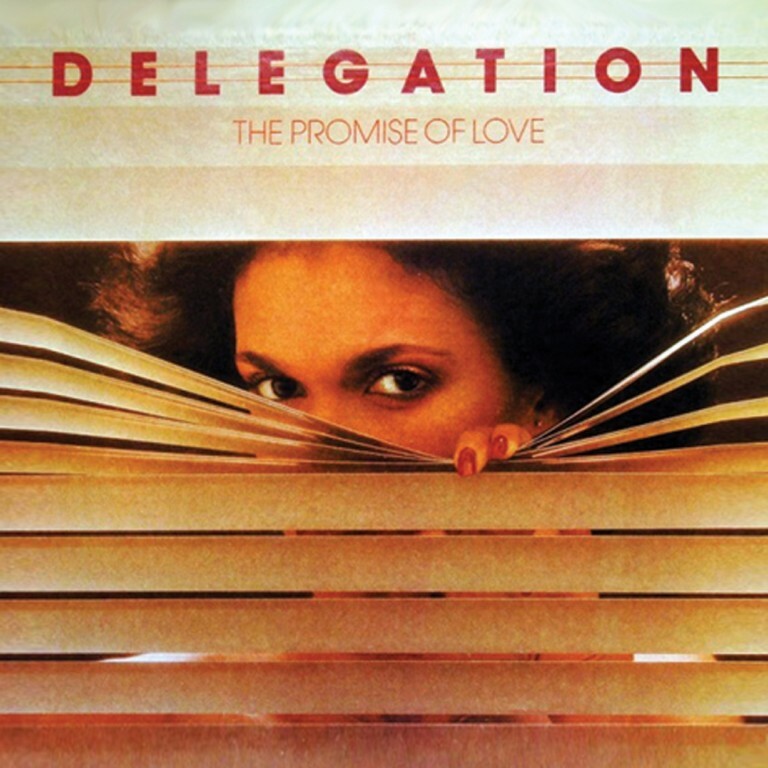 UK R&B/Soul group DELEGATION released their debut LP The Promise of Love in 1977 on State Records, two years in to a recording and performing career that continues to this day. This reissue completes BBR’s remaster series of the group’s first four LP’s. The Promise Of Love features the original line- up of Ricky Bailey, Len Coley and Roddy Harris and was produced by Ken Gold who, along with Mick Denne wrote the majority of the songs, fresh from their breakthrough success with The Real Thing’s “You To Me Are Everything.” Gold was instrumental in championing DELEGATION and secured the deal with State. With an alternative version issued for the US market, this release sees the original UK album making its CD debut with bonus tracks from the US release as well as their early non-album singles issued on State. The first single from The Promise Of Love, released in ‘76 was the album’s opener and title track, backed with the non-album track ‘It Only Happens’ – previously recorded by Aretha Franklin and Jackie Wilson. However, despite critical acclaim the single peaked outside the Top 50. Gold and Denne’s smooth soul/pop sound, allied with lead singer Ricky Bailey’s rich and soulful interpretations took their next two singles in to the UK top fifty with ‘Where Is The Love (We Used to Know)’ (#22) and ‘You’ve Been Doing Me Wrong’ (#49). Having secured a deal with Shadybrook Records for the US the mid-tempo, soulful love ballad ‘Oh, Honey’ became an unexpected crossover hit (R&B #6, Pop #45). This prompted the release of the US version of The Promise Of Love to include ‘Oh, Honey’ as well as the exceptional, spacious ballad ‘Mr Heartbreak’, ‘Let Me Take You to The Sun’ and ‘Love Is Like a Fire’. Subsequent US single ‘Someone Oughta Write a Song (About You Baby)’ hit #45 on the R&B chart.